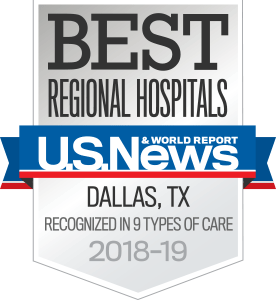 UT Southwestern Medical Center ranks among the best hospitals in the nation for orthopaedics according to U.S. News & World Report for 2018-19. 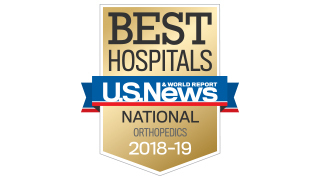 The Orthopaedic Surgery Clinic at UT Southwestern Medical Center offers innovative surgical and medical options for our patients. We apply a multidisciplinary approach to evaluate and treat all types of orthopaedic conditions and injuries. Our team includes physicians, researchers, and clinical service providers who evaluate patients and create a comprehensive treatment program for their specific condition. For most of the situations we treat, surgery is not our initial approach. If surgery is necessary, we use the most advanced techniques available to help patients. Our surgeons are experts in innovation, including minimally invasive techniques, which often mean quicker recovery.